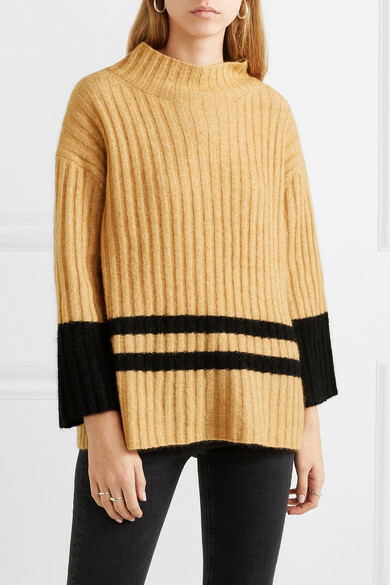 If you love the look of turtlenecks but find them somewhat constricting, By Malene Birger's camel 'Paprikana' sweater is the perfect alternative. 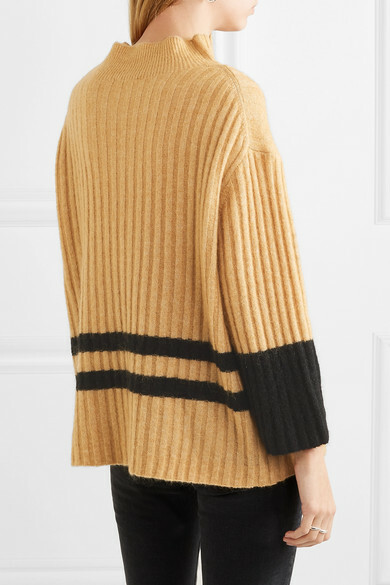 Spun with soft wool and mohair, it has a cozy funnel neck that isn't too fitted and loose shape that's accentuated by dropped shoulder seams and wide sleeves. 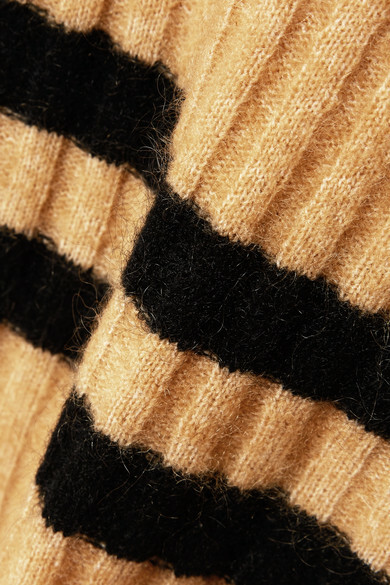 We especially like the graphic stripes and contrast cuffs. 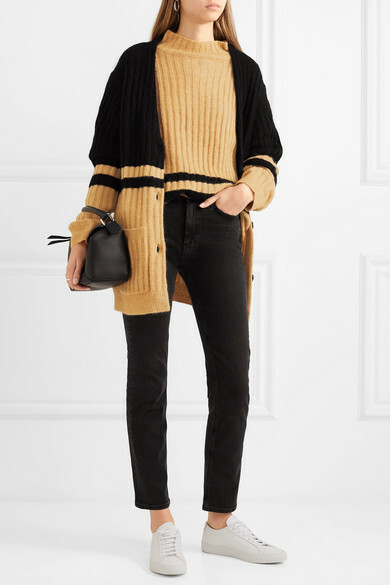 Shown here with: By Malene Birger Cardigan, M.i.h Jeans Jeans, Common Projects Sneakers, Sophie Buhai Earrings, Sophie Buhai Rings.